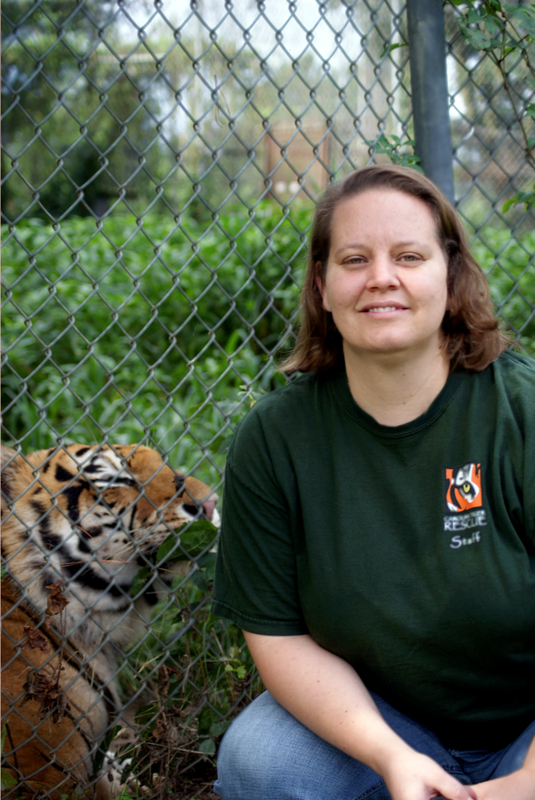 In the next episode of On the Road with Mac and Molly, I chat with Kathryn Bertok, Curator of Animals at the Carolina Tiger Rescue. 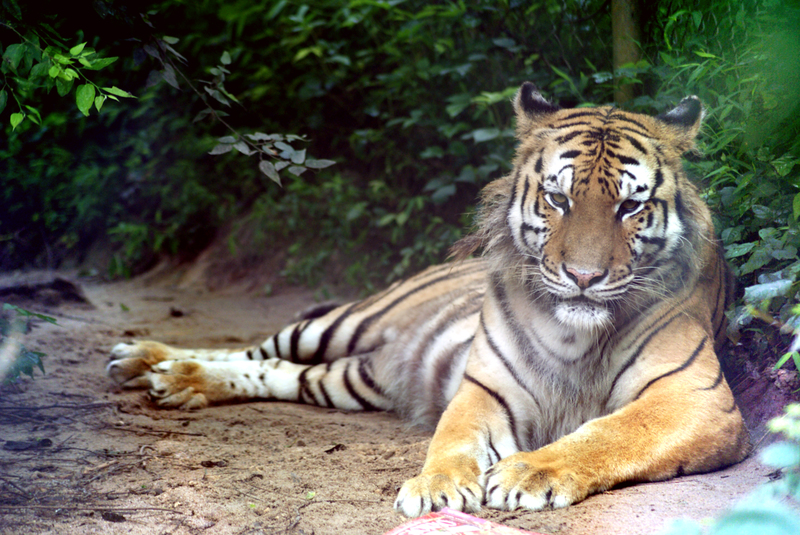 The organization, formerly known as the Carnivore Preservation Trust, is a 501(c)3 nonprofit wildlife sanctuary whose mission is saving and protecting wild cats in captivity and in the wild. In this program, Kathryn and I touch on all things tiger, discussing everything from chuffling (tiger speak) to mother-cub interactions to the tiger’s affinity for water (not only for drinking but for bathing). We review how tigers are faring in the wild and what happens to an ecosystem when a top-of-the-food-chain predator is diminished or removed. Kathryn and I lament how little there is in the way of laws in the U.S. regulating the sale and purchase of exotic animals. The health and safety of not only the animals but human beings as well are put at increased risk through this lack of oversight. Just recently, Noah Barthe, 4, and his six-year-old brother Connor were killed (strangled to death) by a 100-pound African rock python after it escaped from an enclosure inside a friend’s apartment in Campbellton, New Brunswick, Canada. Authorities believe the snake escaped from its tank, slithered through a ventilation system and fell through the ceiling into the room where the two boys were sleeping. The snake has been euthanized and the Canadian government is now considering what it should be doing to help ensure something like this never happens again. The CBC reports that the coroner who presided over a snake death inquest in Ontario two decades ago bewails that nothing was learned from that earlier tragedy. “Dr. David Evans says the inquest called for changes to municipal, provincial and federal rules regarding exotic pets, but none of the jury’s five recommendations was implemented, including the suggestion for an exotic pet registry.” Perhaps now, following these most recent deaths, greater protections will be put into place in Canada. And, perhaps, the United States will follow suit. Bloodwork revealed a pancreatic insufficiency so the staff started feeding her beef pancreas, the enzymes from which worked to break down the food she was eating so it could be digested. The enzymes were powerful enough to eat through the latex gloves of the individual handling the beef pancreas but they were exactly what the tiger needed to jump start her system. Following other medical treatments, Aria is now making a wonderful recovery. 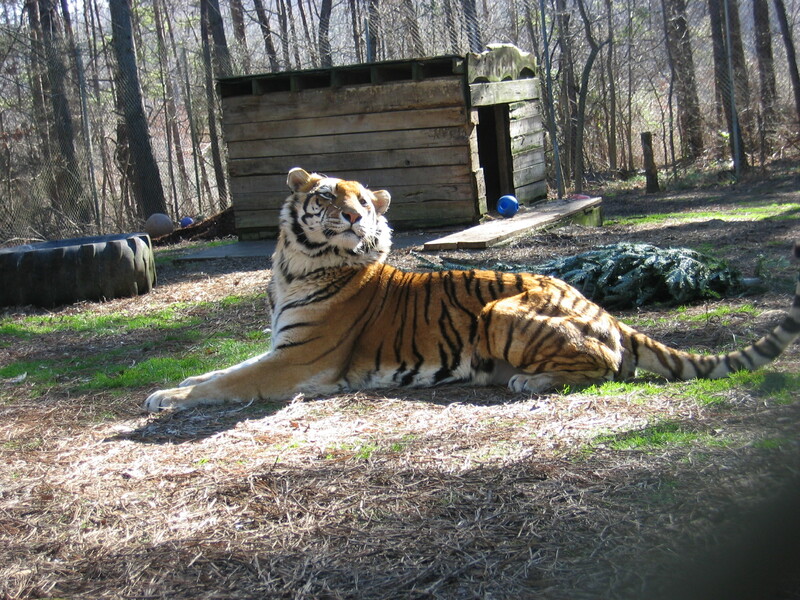 In addition to Aria, the 55-acre Carolina Tiger Rescue has more than 70 animals in its care at the Pittsboro, North Carolina facility. Along with tigers, binturongs, lions, cougars, bobcats, caracals, kinkajous, ocelots and servals have found sanctuary there. advocates for action to maintain wildcats in sustainable native habitats, or–when that is not a viable option–for the respectful, humane treatment of them in captivity. 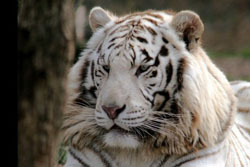 I hope you’ll listen to this program and I hope you’ll care enough about the plight of tigers to act on their behalf. 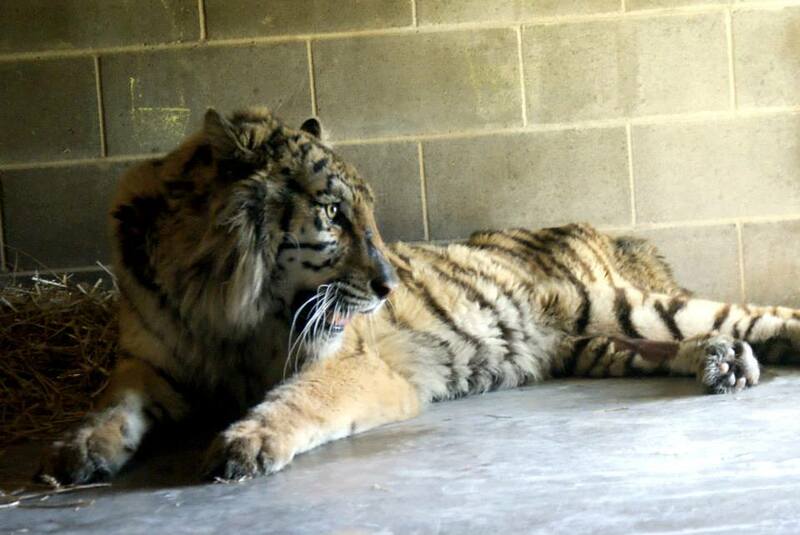 There are only 3,200 tigers left in the wild but perhaps as many as 10,000 are kept in captivity in the United States; five thousand of these animals are in Texas. These magnificent cats and other wild animals deserve our respect. Please care. Educate, advocate, volunteer, donate. Photographs by Carolina Tiger Rescue.